Seattle, WA – Representatives from 55 countries make up the 600-delegate, at-capacity 2012 Adventure Travel World Summit set for 8-11 October in Lucerne, Switzerland. 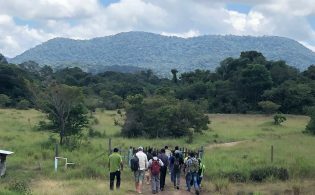 This makes it the second year running that the Adventure Travel Trade Association’s (ATTA) marquee annual conference has sold out at least two months prior to each gathering. Tourism industry professionals interested in attending the Summit may register to be on an active wait list by completing the form at http://www.adventuretravel.biz/connect/summit/waitlist/. Keynote speakers supporting the 2012 ATWS Summit theme, “Prosper with Purpose”, include Mr. Taleb Rifai, Secretary-General of the World Tourism Organization (UNWTO); Rob Torres, Managing Director of Travel at Google; Alexandra Cousteau, granddaughter of Yves-Jacques Cousteau and co-founder of Blue Legacy; Jim Leape, Director General of WWF International, the global conservation organization; and Darrell Wade, CEO of PEAK Adventure Travel. Sponsored by Switzerland Tourism and Lucerne Tourism, the ATTA’s 2012 ATWS will address pressing issues of the tourism industry today, including such topics as the interplay between conservation and the business of tourism to consumer behavior, blogging and crisis management. 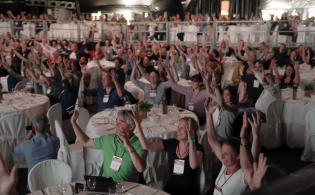 Entering its eighth year, the ATTA’s Summit conferences engage and energize the leaders of the adventure travel community with networking, business and professional development programs, educational seminars and emerging adventure destination product review opportunities. In addition to the keynotes, a cadre of experts covering core business disciplines of the adventure tourism industry will deliver two key content tracks over the course of three days, one designed primarily for adventure tour operators and the other primarily for tourism boards. 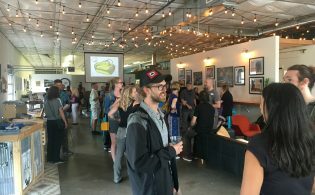 Established in 1990, the Seattle-based ATTA is a global membership organization dedicated to unifying, networking, professionalizing, promoting and responsibly growing the adventure travel market. Host of the annual Adventure Travel World Summit executive trade conferences and publisher of AdventureTravelNews.com, the leading digital trade journal serving the adventure tourism industry, the ATTA also makes possible www.Adventure.Travel, the traveler’s hub of physical, cultural and nature-based adventure travel and guide to trusted tour operators from around the globe. I am very much looking forward to join the summit for the first time! Thrilling to see this ATWS growth in power and influenceI will see you in 2013 in Africa!